Banyan Ventures primarily focuses on business opportunities with significant revenue traction in traditional industries like manufacturing, business services, construction, and other industrial sectors. 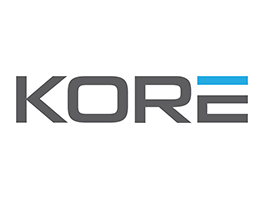 Kore is a leading provider of commercial facility services throughout the western United States, mainly focused on refrigeration, HVAC, and electrical services. The company operates with over 150 highly skilled technicians who take care of the mission-critical infrastructure and equipment of premier customers, including: supermarkets, convenience stores, restaurants, office buildings, retail shops, and other commercial facilities. Banyan made its first investment in Kore in 2014 (then named Epic Services) and helped lead the company’s growth by opening new branches and acquiring additional companies. Since the first investment, Banyan has produced additional financing and brought on another financial partner to grow Kore on a national scale. 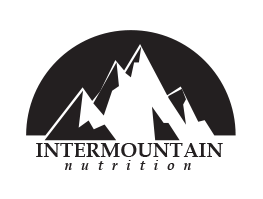 Intermountain Nutrition manufactures custom formulas of high-quality supplements, vitamins, sports nutrition, and weight loss products in a variety of forms, including capsules, powders, and liquids. The company is known for completing orders extremely fast relative to industry standards. Products are developed under the direction of a team of scientists, technicians, and professionals with decades of experience, with all production in Intermountain Nutrition’s own FDA-registered and cGMP-certified manufacturing facility in Provo, Utah. Banyan Ventures has provided Intermountain Nutrition with growth capital to: move into a larger facility, purchase new equipment, and expand its product offerings. Banyan is also actively involved with corporate development, consulting the Intermountain Nutrition leadership team on strategies to scale business operations and facilitate growth. 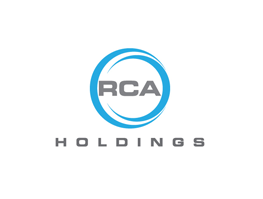 RCA Holdings is a family of companies which are leading providers of commercial refrigeration, HVAC, and electrical equipment and infrastructure services in the Mountain West. RCA began in 2012 as a refrigeration services company for restaurants and grocery stores and has quickly expanded to become a one-stop solution for commercial refrigeration, HVAC, and electrical services. Subsidiaries include Epic Refrigeration and Ace Electric. A few of RCA’s premier customers include Maverik, Costco, Associated Foods, Walmart, Olive Garden, and Chili’s. Banyan Ventures advises and works closely with the RCA leadership team to scale business operations, devise strategy and growth plans, and provide acquisition support as RCA brings more companies under the brand. 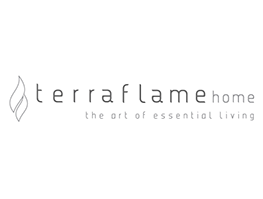 Founded in 2011, Terra Flame Home specializes in the design, manufacturing, and distribution of indoor and outdoor bio-fuel firespaces, including: fireplaces, fire tables, fire pits, torches, lanterns, etc. The innovative furniture is powered by a unique, odorless, smokeless, and virtually CO2-free fuel called SunJel, which provides a clean-burning and beautiful flame and requires no ventilation. With their ability to incorporate fire into spaces where it wasn’t an option before, Terra Flame Home’s products have revolutionized interior design and outdoor living and received an endorsement from HGTV design star and best-selling design author Candice Olson. The investment from Banyan Ventures has enabled Terra Flame Home to expand its distribution channels and product offerings. Banyan oversees the company’s financial and accounting functions and has helped to recapitalize and reorganize the business and optimize product production. Cell Again reinvented the mobile re-commerce industry with its innovative and unique service offerings that allowed customers to buy, sell, trade, and repair used cell phones. Banyan Ventures’ investment in Cell Again provided the company with venture leadership and growth capital to open new stores across the United States. Cell Again operated out of mall kiosks so customers could conveniently visit a Cell Again location to sell their old cell phone for cash-on-the-spot or trade-in value toward the purchase of a new or previously-owned phone. 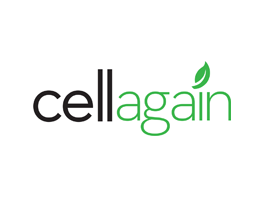 Cell Again was acquired by eRecyclingCorps (ERC), now known as HYLA Mobile, in 2014. MobilityRE develops applications for real estate professionals that allow homebuyers to search and view on their mobile device any property on the Multiple Listing Service (MLS). The listings are custom-branded with the subscribing real estate broker's or agent's contact information to increase brand awareness, and the apps utilize innovative lead capture and analytics to ultimately help real estate professionals attract more clients and sell more homes. 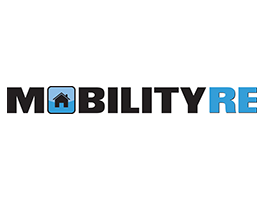 Banyan Ventures invested in and began working with MobilityRE in 2012. The company intensified its marketing efforts, which resulted in purchased subscriptions from many of the leading real estate professionals in the United States and Canada. MobilityRE was sold to a strategic acquirer in 2017. In partnership with The Tollstrup Group, Banyan Ventures formed Palo Verde, LLC in 2011 to acquire attractive rental properties in the Phoenix, Arizona, real estate market, which had been severely weakened over the previous few years. 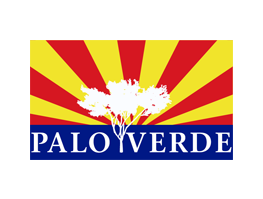 Since its launch, Palo Verde has acquired a wholly owned portfolio of more than 50 properties. Banyan secured all property acquisition capital for Palo Verde through its strategic investment partners and actively oversees all general and administrative aspects of the company. Banyan also works with The Tollstrup Group to manage all facets of acquiring, rehabbing, and renting the properties. 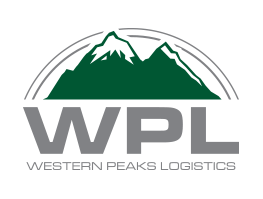 Western Peaks Logistics (WPL) is well-respected by shippers and customers across the country for its proven track record of getting packages to their destinations in a safe, reliable, and timely manner and for its systems to keep customers updated on the status of their deliveries. WPL’s current customers include several of the country’s most recognized brands in national retail, express shipping, bulk mail, laboratory companies, and pharmaceutical wholesalers. Banyan Ventures formed WPL in 2016, merging long-time portfolio company Rev-It Logistics with Kangaroo Express. Banyan added PTC Air Freight under the WPL umbrella in 2017. Under Banyan’s management, WPL has opened a new and larger warehouse; strengthened relationships with national resellers and distribution partners; and significantly expanded and enhanced its coverage of the western United States in providing customized freight-forwarding, delivery, and logistics solutions. Banyan Ventures formed Spruce Real Estate Investments, LLC in 2009 to provide growth capital for The Tollstrup Group, a Utah-based real estate brokerage and property management firm. The Tollstrup Group was seeking an investment partner that offered business and financial expertise and leadership. Spruce and The Tollstrup Group utilized a systematic approach for acquiring, rehabilitating, and reselling foreclosed or distressed properties. 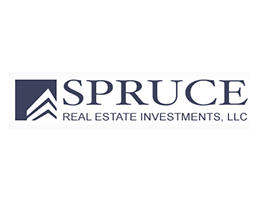 Spruce ultimately acquired and then resold dozens of properties along the Wasatch Front from 2009 through 2012. Banyan, through its Banyan Real Estate Management Company subsidiary, oversaw Spruce on behalf of the participating investors and coordinated funding, documentation, and repayment activities with The Tollstrup Group. All participating investors enjoyed exceptional annual returns, in addition to receiving 100% of their invested capital upon sale of the properties. Founded in 1985, Graywhale Entertainment was the first music retailer to provide a buy, sell, and trade format for music lovers. Graywhale subsequently expanded its product offerings to include music, movies, and video games. It successfully implemented its buy, sell, and trade format across these forms of media as well as associated electronic products. From 2004 through 2007, Banyan Ventures served as the Managing General Partner of the company, and in this capacity helped redefine its capital structure, consolidate store ownership, implement inventory management systems, upgrade and relocate its retail locations, align and optimize its product mix, and update its finance and accounting systems. 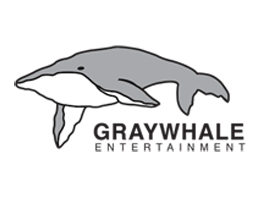 Banyan sold its interest in Graywhale in 2007 through a cooperative management buy-out. 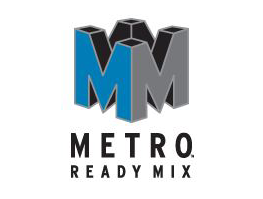 Metro Ready Mix is a full-service ready mix concrete producer. Founded in 2005, Metro’s relentless focus on delivering quality products and exceptional customer service helped it become a trusted partner for many of Utah’s builders and developers. Under Banyan Ventures' management, Metro Ready Mix grew exponentially in revenue and reputation. The company was awarded multiple "Excellence in Concrete" Awards by the American Concrete Institute. In 2018 Metro Ready Mix was acquired by Summit Materials, a publicly traded construction materials company. Founded by Banyan Ventures in 2003, BelleHavens created the first equity model in the luxury destination club industry. Forging multiple strategic partnerships, Banyan raised over $10 million in debt and equity capital to fund growth and property acquisitions. Over 100 club members were added through successful marketing and sales efforts, and a world-class hospitality team was put in place to serve and support members. Banyan sold the club in 2008 to Abercrombie & Kent, a 50-year-old luxury travel company. 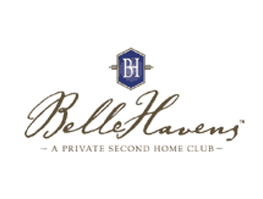 BelleHavens became the foundation for A&K's new destination club division, the Abercrombie & Kent Residence Club. Metro Waste was the largest independent hauler and recycler of construction waste in Utah. Founded in 1999, the company hauled approximately 65% of the construction waste generated along Utah's Wasatch Front and recycled nearly 50% of it. In 2003 Banyan Ventures made an equity investment in Metro Waste and began working with the company's founders to implement a long-term growth strategy. This culminated in Metro Waste becoming fully vertically integrated by constructing and operating its own municipal waste landfill, which significantly increased the company's enterprise value. In 2004 Metro Waste closed a $25 million growth financing with Sorenson Capital and Zions Bank. 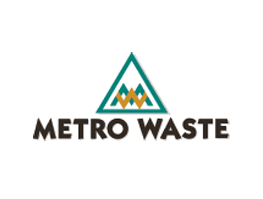 Metro Waste was subsequently sold to Waste Management, Inc. in 2008. Chapman Innovations was founded in 1998 and developed, produced, and marketed thermal fabric solutions under the brand CarbonX®. Made of a patented blend of high-performance fibers, CarbonX non-flammable fabrics and apparel are widely used in protective applications for industrial safety, construction, welding, molten metal, utilities, pulp and paper, oil and gas, firefighting, motorsports, and tactical/police. Banyan Ventures made an initial investment in Chapman Innovations and assumed management control in 2003. Banyan recapitalized the company, established a management team to support the company's growth strategy, and refined the company's manufacturing, marketing, sales, distribution, and administrative processes. Chapman Innovations grew significantly and received numerous awards for being one of Utah's most innovative and rapidly growing businesses. 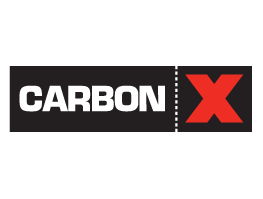 Chapman Innovations and its flagship brand CarbonX were acquired by TexTech Industries in 2014. 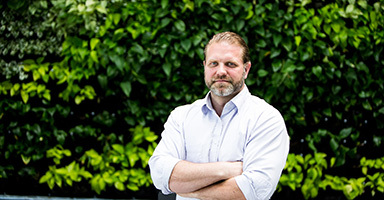 Ryan Gledhill exemplifies the quintessential entrepreneur. As an owner of a nutrition brand, Ryan felt a responsibility to his customers to deliver the highest quality products in a timely manner. Disappointed with the manufacturers he was using to supply his supplements, Ryan set out to manufacture his own products that would always meet the claims made on their labels. He started Intermountain Nutrition. In year four of his new venture, Ryan’s company was growing quickly, and he knew he either needed to raise capital or scale back. Banyan immediately helped Intermountain sustain its growth by purchasing its own facility. Banyan has also helped Intermountain secure a line of credit to meet customer needs and provided additional financial management to help the company achieve its lofty vision. “Several firms were looking to give us money, but the reason I decided to go with Banyan was the team. They brought experience and success, and they weren’t ‘vulture capitalists.’ They have the whole picture in mind. It’s not solely about the money; it’s about the employees and people. They believe that if you’re doing what you should for your people, it will increase your bottom line. “Together, we drafted a mission statement and core values, and we identified what we wanted to accomplish in the next five years. Our strategies aligned, and we were of one mind on how to accomplish our goals. “Banyan takes care of the high-level administration and financial management, while I’ve been able to focus on growing the business. They have been integral in helping this growth come to fruition and in handling challenges in creative and out-of-the-box ways." 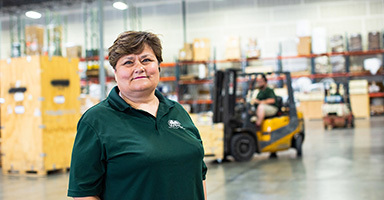 When Evelynn Osuna started Rev-It Logistics, she had a vision: To provide the best delivery service for her customers. She valued her employees and felt a responsibility to get the job done right every time. As her business grew, it became clear that her expertise was in customer service and delivering excellence, but the business management side of Rev-It needed outside attention. Evelynn teamed with Banyan Ventures so that she could focus her efforts on accomplishing her vision, while Banyan dealt with the financial aspects of her growing logistics company. Banyan provided Rev-It with increased efficiency, strategic consulting, and financial management. Together, Banyan and Rev-It acquired two more companies and created Western Peaks Logistics that provides transportation services in seven states. “Working with Banyan is one of the best decisions I have ever made. They provided financial stability, helped us diversify our offerings, and helped me understand sound business practices. We have grown from a small courier business to a full-fledged transportation and logistics company. “The people at Banyan have been wonderful to work with, and I have learned more in five years working with them than I would have in school or anywhere else. “Every day we operate with integrity. When we tell our customers that we are going to do something, we are going to do it." Jim Alexander is a tradesman; however, his 21 years as a refrigeration technician almost never happened. Jim got into the industry after taking an “accidental” job, and he fell in love with the work. His passion for challenges, troubleshooting, and service quickly moved him from service technician to operating his own branch. In 2012 Jim teamed with two friends to form a company that offered refrigeration and electrical services—RCA Holdings. After three years, RCA had grown so quickly that Jim and his partners needed extra capital to meet their clients’ needs. Although initially skeptical, Jim warmed to the Banyan Ventures team and the possibilities additional funding could provide. 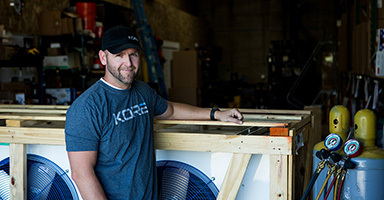 Since Banyan’s investment, the RCA team has acquired several other services businesses that now form Kore, a full-service refrigeration business operating in six states throughout the Mountain West. Jim serves as Kore’s Chief Technology Officer and VP of Service. “Our partnership with Banyan has revolutionized our company. In the past six years, we have grown from six employees to 150. That would not have been possible without Banyan. Their passion, vision, and hands-on approach have bridged the gap of understanding between the trade side and business side of our company."